Our guest post today is by my dear friend Tanya. 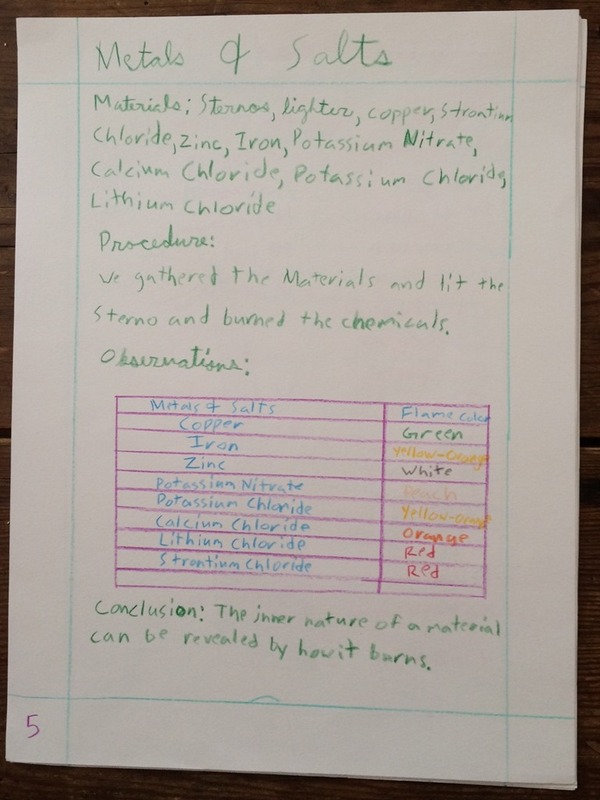 She just finished her seventh grade chemistry block with her seventh grader and was kind enough to write about it for us today. After beginning our year with a two week review, we jumped right in to Chemistry. It took me a while to plan out this block during summer as there aren’t a whole lot of resources for the homeschooling parent to choose from. What resources I did find though helped tremendously and we were able to execute most of the demonstrations laying a solid foundation for 8th grade and high school Chemistry. My main resource was a great manual titled: “ A Demonstration Manual for Use in the Waldorf School Seventh Grade Main Lesson” by Mikko Bojarksy. This book not only lists in detail materials needed for each demonstration, but it also gives clear instruction on how to perform each demonstration as well as what conclusions can be drawn by observation. Other resources I found helpful were the two sites: Waldorf Inspirations and Waldorf Teacher Resources (this one you need to register for a full access, but it is free). For materials, I bought all equipment and chemicals from Home Science Tools. My son is very interested in chemistry so I went ahead and invested in their basic lab equipment kit which included various sizes of beakers and graduated cylinders, funnels, tubing and stoppers, along with an alcohol burner and stand. I also purchased five or so powdered chemicals and their Spectroscope Analysis Kit (for the colored flames demonstration). Most of the demonstrations can be performed with various everyday items found in your home and you certainly can use glass/mason jars versus beakers. You do need a safe flame source-either an alcohol lamp, Bunsen burner or we have used those chaffing burners used to keep food hot at buffet dinners. We spent about three and a half weeks covering the various chemistry topics. For Week One we began with Combustion! This was really fun for my seventh grader. The first day we talked about what chemistry is and how every substance has a physical and chemical property. Then we performed demonstration number one from the Mikko book. After each demonstration was performed, we would put away the materials and recap what we did and what we observed. The next day, we would review again and then draw conclusions based on our observations. I tried to let my seventh grader come up with most of the conclusions, which for the most part he did, but there were a few times throughout the block where he needed a bit more guidance. So we spent the rest of the first week burning various materials and observing what happened when they burned. We ended the week discussing the properties of the candle and observing several demonstrations that involved burning a candle. During Week Two we covered salts and crystal formations. We discussed the concepts of solubility, precipitation, and saturated solutions. We also created crystals from epsom salt, table salt, and borax. As in Week One, we would perform the demonstration on one day and draw conclusions from our observations on the next day. Week three was Acids and Bases! My seventh grader found these demonstrations to be the most fun out of the whole block. We created a pH indicator using red cabbage and then tested several common household chemicals to discover whether they were acidic or basic. We ended the week by briefly discussing the Lime Cycle. This was the one topic I found the most difficult to recreate in a homeschool rather than classroom setting. 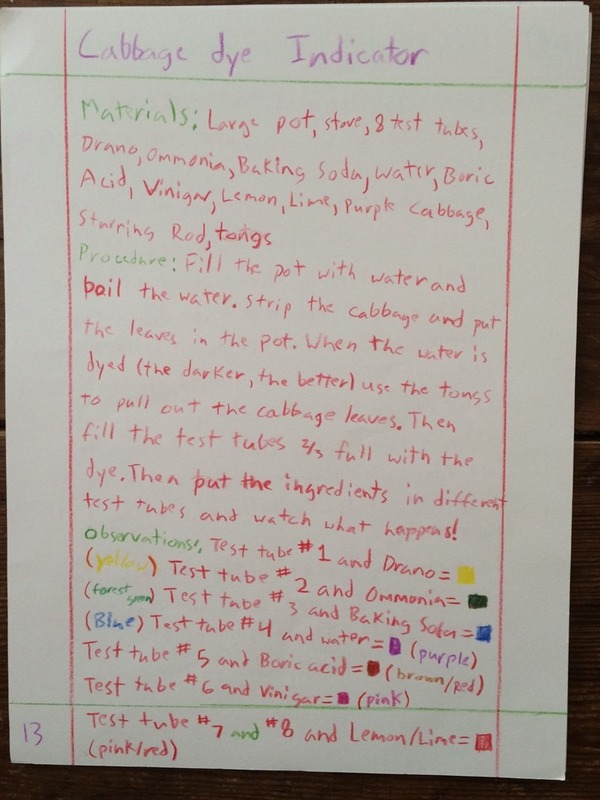 However, my son had received a chemistry kit as a gift and spent the summer performing the various experiments. Luckily for me, two of the experiments involved making lime milk and lime water so he was already somewhat familiar with the Lime Cycle. Another option is to watch the demonstrations on You Tube (not very Waldorfy perhaps, but sometimes you have to adapt!). 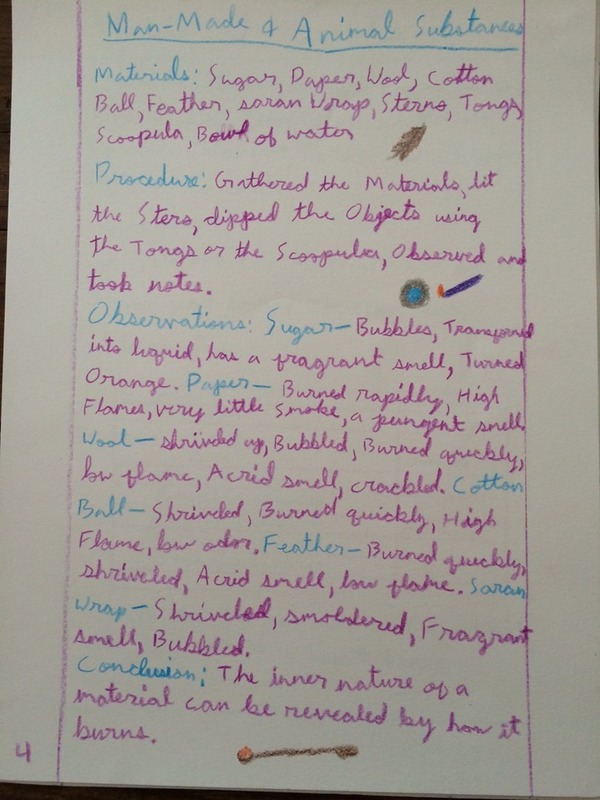 In addition to performing various demonstrations, my son was given a weekly vocabulary list that included terms like combustion,solvent, effervescence, etc. 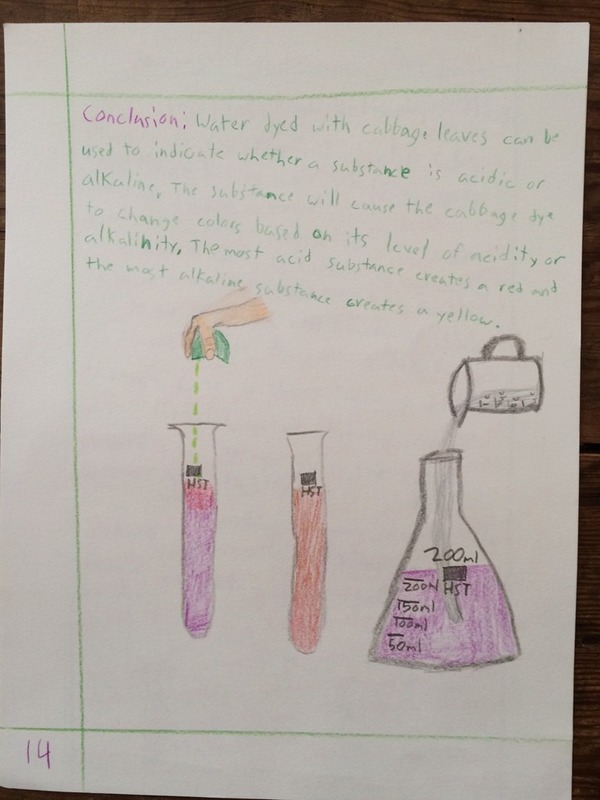 I also gave him a chemistry test at the end of the block (found on the Waldorf Inspirations website). This was just to see if our bases were covered and it was not graded. He did fairly well and I felt good knowing he had a solid foundation laid. Overall, I would say this block was a big success and my seventh grader learned quite a bit. It was great witnessing him come to conclusions simply based on what he observed and therefore learning more about our world. Thank you so much Tanya for sharing your experiences with us! 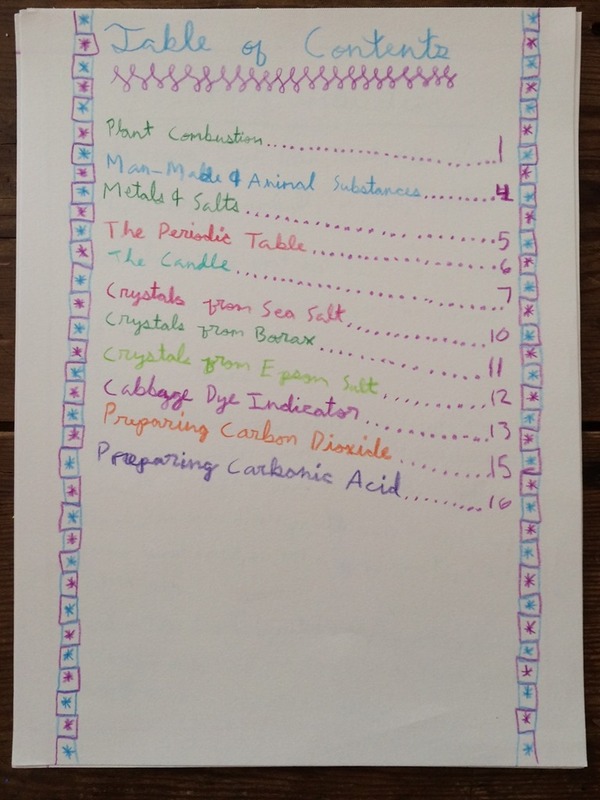 If you have done seventh grade chemistry at home, I would love to hear from you! So inspiring to see it being done in the home! Exactly! I really want to “de-mystify” these upper grades and high school so parents feel like they have an option in these later grades and years to be together. These years are really important! Oh this is fabulous, thank you for sharing it. What an inspiration! 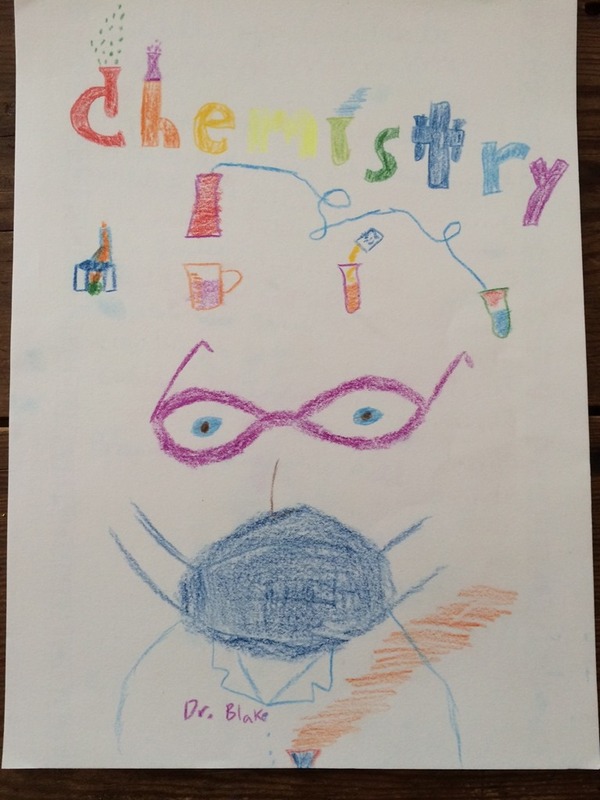 We’ll be doing Chemistry next year and this post makes it seem less daunting, even fun!